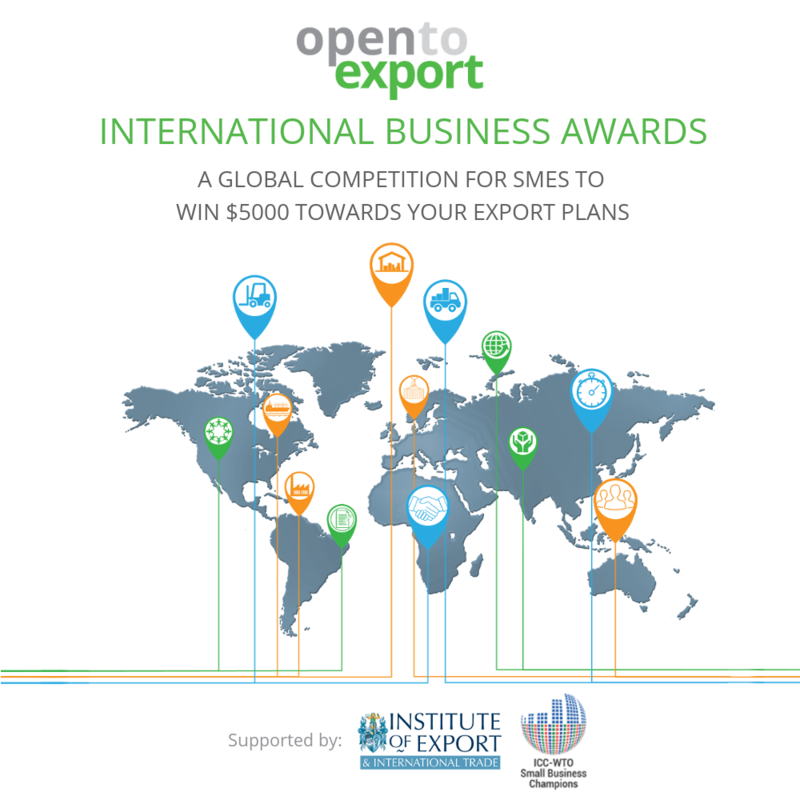 We are delighted to announce the finalists of ‘”The Open to Export” International Business Awards’. On October 4th, 11 inspiring SMEs will travel to Geneva to pitch their businesses at a showcase final event for the chance to win $5000 towards their export strategies. The competition invited companies from anywhere in the world to enter their completed ‘Export Action Plans’. The ‘Export Action Plan’ tool allows SMEs to take ownership of their export strategies in a systematic way, encouraging them to take decisions along each step of their international trade journey – from selecting a market to delivering products or services to new customers. The final is taking place at the World Trade Organisation’s Public Forum – a gathering of thousands of senior figures from international business, governments and media. The Awards have been run as part of the ‘WTO-ICC Small Business Champions’ initiative, showing that The Institute of Export & International Trade – our backers – are leading the way in encouraging SMEs to enter world trade. The finalists travelling to Geneva all impressed the judges with the clarity of their export visions. They are a varied collection, coming from multiple sectors and hailing from all corners, including St Kitts, Zambia, Mongolia, Armenia and Peru. You can find out more about each finalist below.